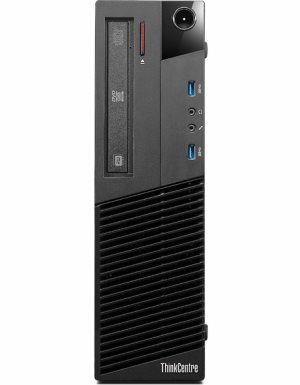 Lenovo ThinkCentre M83 10AJ Desktop PC Intel Core i3 4150T 3.0 GHz 4GB RAM 500GB. 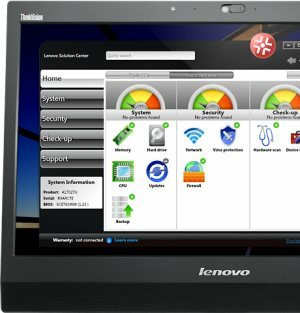 The Lenovo ThinkCentre M83 takes productivity and efficiency to the next level. The desktop is available in both Mini TW and SFF Pro designed specifically for the rigorous demands of large enterprises, Public customer and education world. Innovative SFF Pro support Dual HDD and Dual Graphic, which provide TW expansion ability. Take your business computing performance to a whole other level, while benefiting from the enduring Lenovo virtues of stability and reliability. 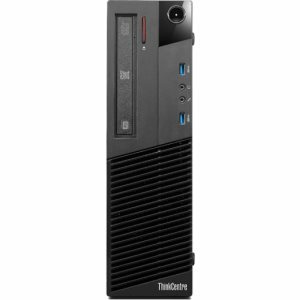 The energy-efficient, cool running ThinkCentre M83 small form factor (SFF) is powered for productivity with powerful processors, advanced wireless, easy expansion, and more. The small form factor (SFF) pro design features the compactness of the SFF with the expansion ability of a tower. M83 desktop includes some great security tools available in the industry, including USB ports disablement to help prevent data theft and network security risks against unauthorized use of storage devices. The Trusted Platform Module (TPM) encrypts data and key information like passwords and digital certificates, further securing applications, electronic transactions, and online communication. Plus the M83 desktop includes a chassis intrusion switch, which alerts against any unauthorized access attempts. Physical security through cable lock and Absolute® Computrace Support.